Hope you are well and have had a lovely Christmas. Coming up is my round up what I've been up this year theatre wise. At the start of the year I was lucky to do one of the behind the scenes tours of the Theatre Royal. It was early morning and the whole of Covent Garden was very quiet which was nice. There were a couple of tours that morning but we were lucky to only have four of us on ours. The theatre itself is incredible and has always been one of my favourites to go n see a show at but to actually see more of the history of it was very special. We were lucky to see the Royal box and the view from the box as well. As we had a small group we were lucky also to have a look under the stage and the mechanics that operate all the sets. Its amazing to see what goes on and throughly recommend it to do. This was a great birthday present earlier in the year watching this production. The dancing and choreography of the show were incredible and I loved it from start to finish. This show never fails to amaze me with the talent of the cast it was a birthday trip for my good friend but we left in awe of the whole show. If you haven't seen it add it to your list for 2018. Earlier in the year my love for this show began, we were lucky to see the show a few days after it had opened. I've never seen such energy from an audience so early in a show. 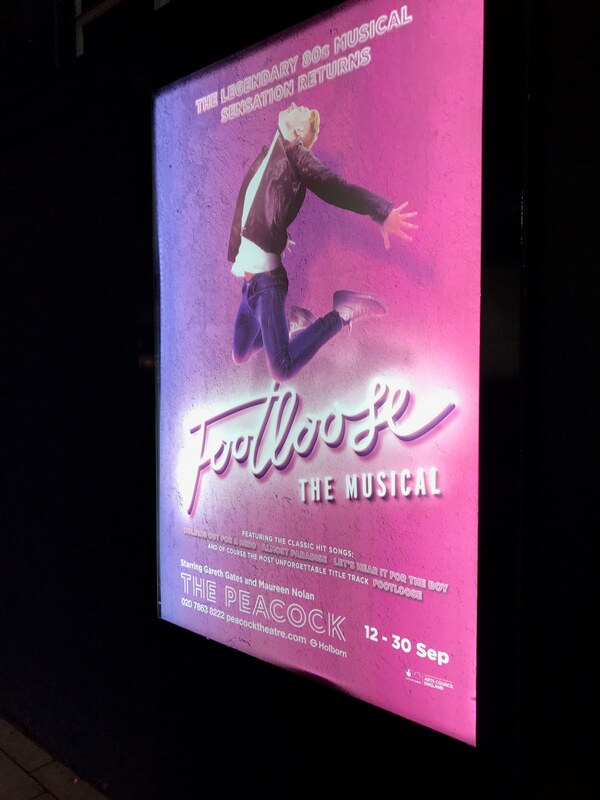 The talent of the whole cast is incredible and I promise you will leave wanting to dance through Covent Garden after. I was lucky to make it along to see Aladdin again earlier in the year. I love this show everything from start to finish with the cast, set and the music is just great to watch. If you haven't seen it before then it's another one high up my list of shows to recommend to see. This was the start of a few dates for me for this tour. The show was just as good and I could quite happily sit there and watch the show all day. It was great to see it back in Richmond. The theatre itself is lovely and always lovely to visit for different shows. June came around and it was back to watch live performances that are put on every year. This year there was a great selection of shows ranging from Wicked to Dream Girls and many more. This is always a theatre highlight for the year and a great day out as well. This is one show I've been wanting to see for a long time and it really didn't disappoint. The Savoy theatre is amazing in itself for visiting. I was lucky to catch Marisha Wallace on playing Effie and she was incredible. Her version of And I am Telling you was stunning and bought a lot of people up for a standing ovation which was very well deserved. Next up was one I'd been looking forward to all year. Footloose finally came back to the Westend. Even though it was only for a few weeks it was still a lot of fun and I wish it could have been for longer. Next up came the start of a few dates on the Flashdance tour. This show is brilliant from start to finish and I promise you after adding it to your iTunes you will be singing it for weeks to come. If you love the film and 80s music this is for you. Both Ben and Joanne smash their roles and make the show what it is. This show was a lot of fun to go to. Presented by Mark Read it was a mixture of some amazing dancing and singing which was enjoyable for all that attended. The date I went to was pretty much sold out and in a lovely venue. Next up was a trip up north to see Flashdance. The theatre in Liverpool is one of my favourites to visit for tours and have always loved the shows Ive seen there. The show itself had a great atmosphere for a Saturday evening. The storm outside didn't stop anyone having a great time. I loved this show from the start. It made a great girls night out as we'd all been waiting to see it for a long time. We were lucky to get some great seats in the stalls on a time out offer. The show was a lot of fun and I can't wait to see it again soon.